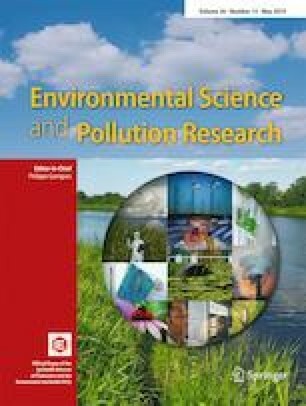 The linkage between high concentration of greenhouse gases (GHGs) and climate change is well recognized as there is severe influence of climate change on public health. Carbon dioxide is most prominent GHG which deteriorates the environment and impacts human health. On the parallel, economic growth also affects health conditions sometimes positively or vice versa. The objective of this research work is to examine the dynamic linkages among CO2 emissions, health expenditures, and economic growth in the presence of gross fixed capital formation and per capita trade by using auto regressive distributive lag (ARDL) model for Pakistan covering annual data from the year 1995–2017. 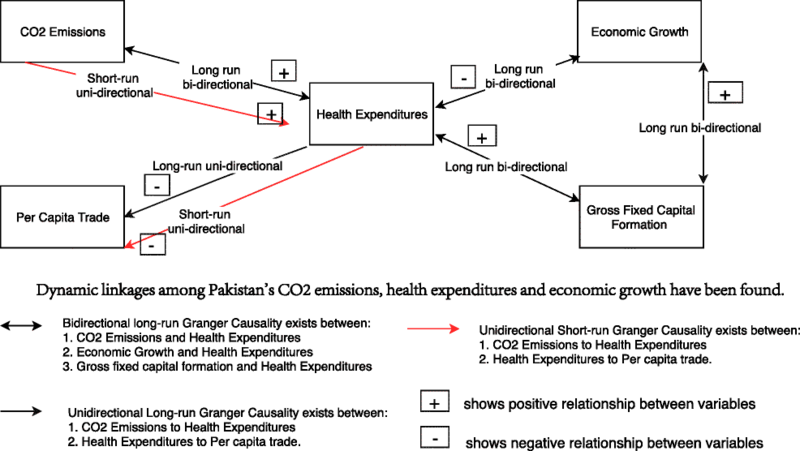 Our empirical results show that there is significant long run as well as short-term causal relationship between health expenditure, CO2 emissions, and economic growth in Pakistan. Bidirectional relationship of Granger causality is found between health expenditures and CO2 emissions, and further between health expenditures and economic growth. Short-run unidirectional causality is running from carbon emissions to health-related expenditures. The bidirectional causal relationship is also investigated between carbon emissions and growth as well as gross fixed capital formation and growth. Then, policy recommendations towards controlling pollution, particularly CO2 emissions and health expenditures without compromising economic growth are suggested. This study is supported by the National Science Fund for Distinguished Young Scholars (Reference No. 71625003), Yangtze River Distinguished Professor of MOE, National Key Research and Development Program of China (Reference No. 2016YFA0602504), National Natural Science Foundation of China (Reference No. 91746208, 71573016, 71403021, 71521002, 71774014), National Social Sciences Fundation (Reference No.17ZDA065). Humanities and Social science Fund of Ministry of Education of China (Reference No.17YJC630145), and China Postdoctoral Science Foundation (Reference No. 2017M620648). Bidirectional causality among emission and growth, unidirectional causal relationship from health-related expenses to growth. The findings provide evidence of causality between the three variables. The empirical findings reveal that there exist bidirectional causal link between emission and GDP, between health expenses and economic growth in all lower, middle, and upper income countries. The results showed that income, PM10 emission, CO2 has positive effect on health spending and health expenditure is no more sensitive to income in MENA countries. The effect of carbon emission on health was found stronger for the case of USA that spends more on health care expenditures. Health expenditures Granger cause GDP and on contrary, two way causal relationship among emission and GDP and between health-related expenditures and carbon emission is found. Results found negative impact of carbon emission from different sources on human health. Results show the existence of bidirectional causality between emission and economic growth and between health expenses and economic growth for global panel. And further unidirectional relationship of causality from emission to health expenses in low-income countries. Overall results revealed that health plays important role in economic growth. Per capita health spending, income and emissions of carbon monoxide, sulphur oxide, and nitrogen oxide are co-integrated. There is no long-run relationship among study variables, additionally one way causal relationship from health expenses to growth and carbon emission and from economic growth towards emission was observed. It was investigated that environmental pollution has a negative effect on public health, Real GDP per capita has negative impact on mortality rates and medical condition contribute positively for economic growth. It was observed in the results that NO2, CO2 and GDP in context of Malaysia could be treated as having long term relationship with health spending. Unidirectional causal relationship was running from GDP to emission, energy consumption and to health expenditures and bidirectional relation between energy consumption and emission was found. In long-run GDP caused for increase in emission.